SF State president fires back after Jerusalem mayor dust-up – J. It has been a rough week for San Francisco State University President Leslie Wong. 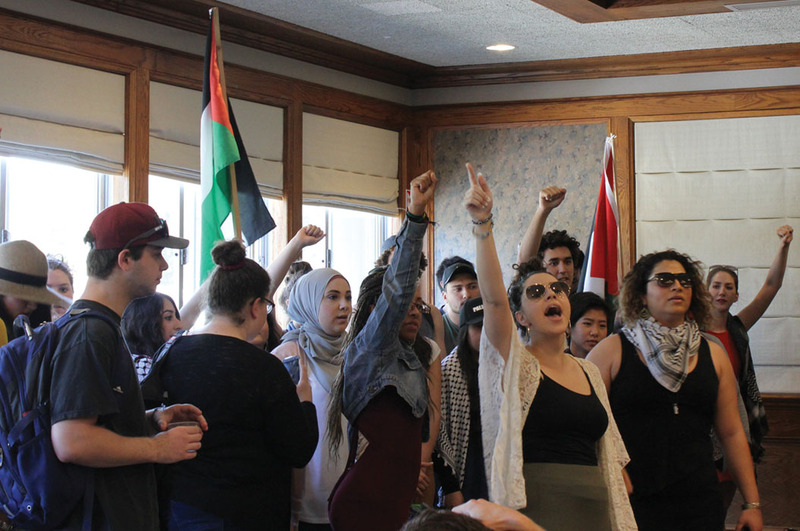 Recounting the timeline, he said he invited first the mayor to return to campus a year ago, mere days after Barkat’s disastrous SFSU appearance on April 6, 2016, when angry anti-Israel protesters shouted him down as campus police looked on. 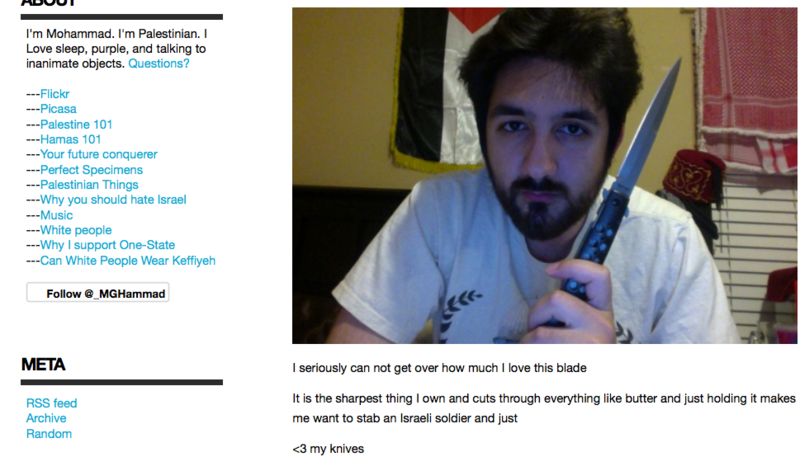 The incident roiled the campus and the local Jewish community. In the 12 months following, Wong commissioned an independent review of the incident, while SFSU instituted revised procedures for handling disruptions. A new campus police chief came aboard and staff underwent some retraining. 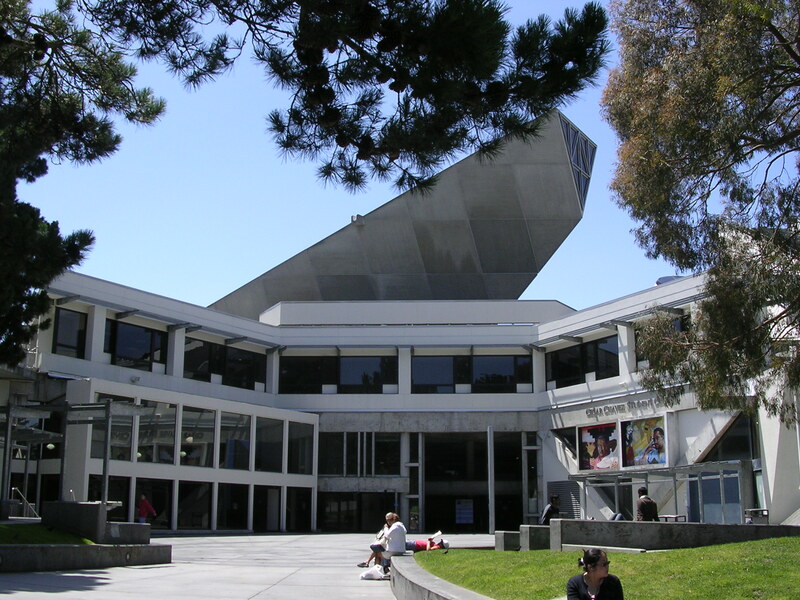 Wong believed SFSU was ready for any potential disturbances. About a month ago, Wong said, he heard Barkat would be coming to town again. Even though the first finding of the independent review was that there had not been enough lead time to properly plan the April 2016 event, Wong took a chance. Wong said the mayor’s staff offered only one date for an SFSU speaking engagement: April 6, the anniversary of the last appearance. Wong, who knew he would be on the East Coast on that date, gave the mayor a green light, though he says he would have liked more time to prepare. The shortened timeline loomed large. Wong’s critics have pointed to a lack of publicity as a chief planning failure. Dollinger noted that the event required advance registration and a ticket, with only 100 openings available. “Everything about this siloed and compartmentalized it,” he said. Wong countered that in the interests of security, University Police Chief Jason Wu recommended ticketing the event rather than simply opening the doors to all. He also said the tight timeframe impacted other security arrangements. Campus police did not have sufficient time to pull officers from other CSU campuses or to draw on the SFPD for added security, according to Wong, who said he was close to canceling the event himself. Instead, it was Barkat who canceled the day before his scheduled appearance. He instead chose to attend a private April 6 AIPAC gathering, which drew 80 people, among them representatives from a host of local Jewish organizations. Meanwhile, Barkat excoriated SFSU for not publicizing his lecture and for limiting the size of the audience. “If I were a representative of any other country, no institution of higher learning would have allowed my speech to be drowned out by protesters inciting violence and then bring me back to campus in a limited, secluded way,” Barkat wrote in an April 5 statement. Rachael Cunningham, 20, an international relations major and Hillel intern, helped draft that open letter to Wong signed by 25 Jewish students. She, too, felt that the university erred by not publicizing the event or consulting ahead of time with concerned groups, such as Hillel or the General Union of Palestine Students. 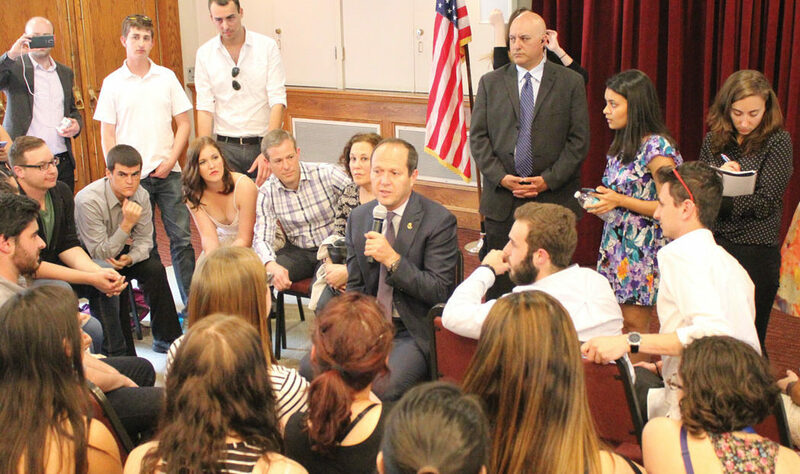 It was Hillel that sponsored Barkat’s visit a year ago. In their open letter, the Hillel students listed grievances going back months. Cunningham said Wong has been unresponsive to their concerns, even after he attended Hillel’s Passover seder last year and listened sympathetically to their stories about on-campus intimidation of Jewish students. For his part, Wong feels he and his staff did the best they could under the circumstances.